Hanoi (VNS/VNA) - It is necessary to complete a legal framework for business households so as to promote their development and contributions to the economy, experts have said. 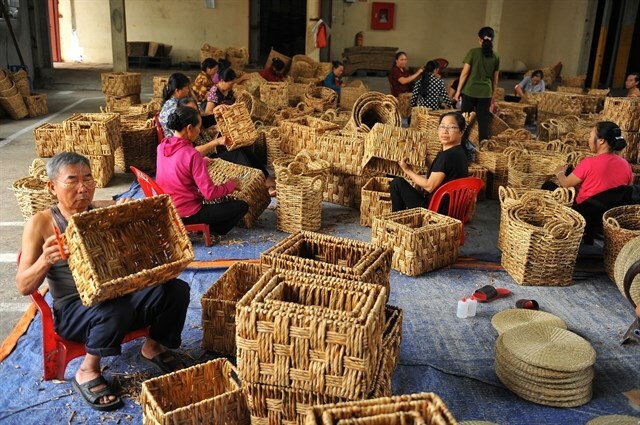 Business households are estimated to total around 5 million and play a significant role in the Vietnamese economy, contributing 30 percent to the country’s gross domestic product (GDP) and creating 10 million jobs. As the Government of Vietnam set a target of having 1 million firms by 2020, 1.5 million by 2025 and 2 million by 2030, business households are identified as a major force for the country to achieve this goal. Under the established enterprise law, Vietnam now has about 700,000 firms while business households are not regulated as enterprises. Nguyen Thi Cuc, Chairwoman of the Vietnam Tax Consultancy Association, said that business households should not be included in the regulations of the Law on Enterprise. “A separate legal framework for business households could be a better option to promote their development,” Cuc said, adding on the other side, policies to encourage business households to change into enterprise were also required. Phan Duc Hieu, Deputy Director of the Central Institute for Economic Management (CIEM), said that it was important to develop a legal framework which could create impetus for the development of the business households. Hieu cited a survey finding of the Vietnam Chamber of Commerce and Industry (VCCI) that around 18 percent of existing firms developed from business households, adding that this was a natural process. According to VCCI Chairman Vu Tien Loc, business households in Vietnam had not received adequate attention despite their significant role in the economy. Loc said that it was critical to remove barriers for them to develop, adding that business households would be the grounds for the development of Vietnam’s business community.